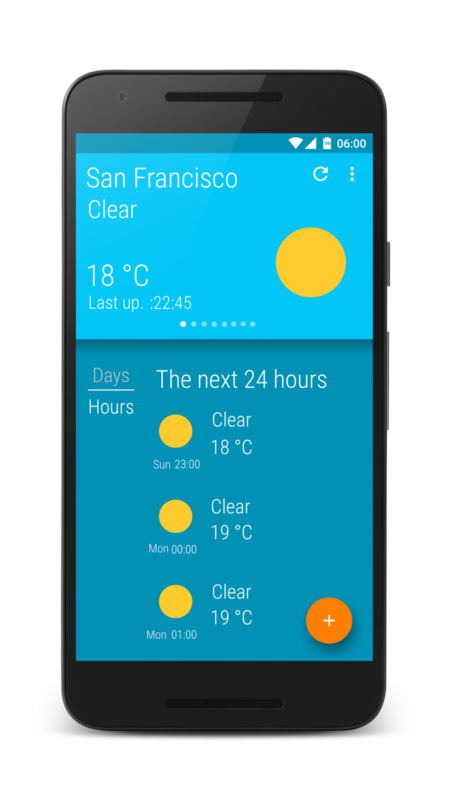 Device: Android	Category: Weather Price: Free Company: Bosiapps Released On: Jun. 27, 2016	Previous App: Ball! 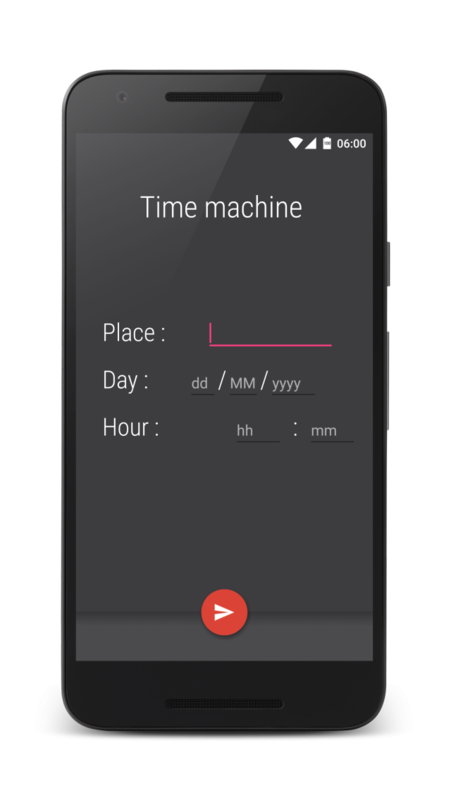 WheaterCast - Your weather in real time, in the past and in the future! 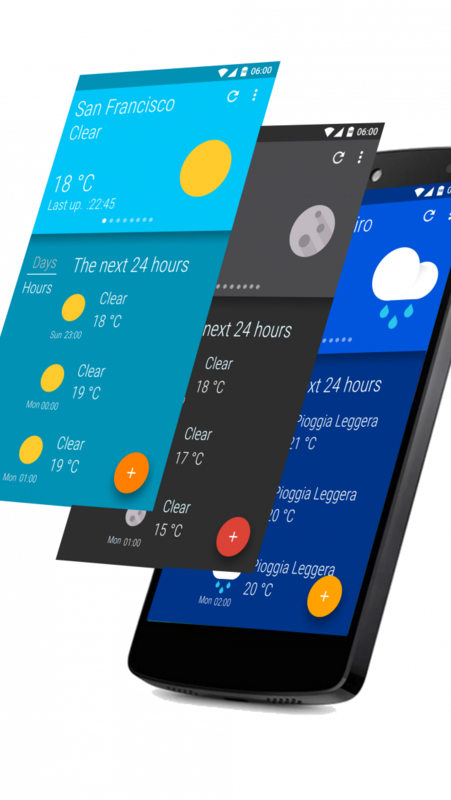 WheaterCast is a simple and minimal weather app. It is made entirely in Material Design with the home page divided in cards. The background of all page in the app change in accordance with the weather so you can have an immediate view of the situation. In the upper side of the home page you can swipe the information that are divided by type : General , Temperature , Precipitation, Wind, Sunrise and Sunset, Humidity, Pressure and Visibility. In the next releases I look at the possibility of personalize the order of the cards. In the lower side there are the forecast menu for the the next 24 hours and the next 7 days. For each day and hour are provided nearly all the data listed above, depending on the locality. You can localize your position and get the weather or search a city. You can put your favourite locality in the dedicated menu. The Time Machine provides the opportunity of search the weather in the past or in the future ( for many places up to 60 years in the past!). The Time Machine provides many data listed above, depending on the locality. But be careful, this function is still experimental.